So, after Number 7 in the Know the Numbers Series, its time to see what the Number 10 corresponds to in the recently concluded Hero i-League 2015. 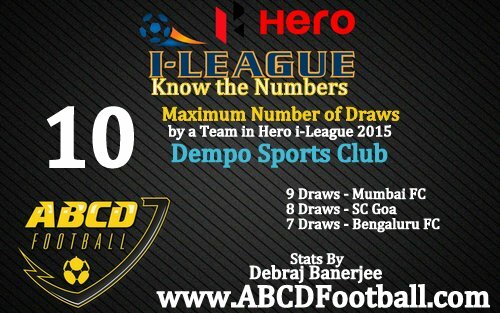 So, Number 10 is the maximum number of draws by a team in the Hero i-League 2015 and that team is Dempo Sports Club who were relegated. We would appreciate if you drop your feedback regarding the "Know the Numbers" Series.